Veritrans proudly offers a range of payment processing solutions developed exclusively for the restaurant industry. 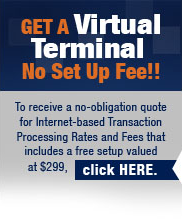 Whether it’s contemporary counter top, or pay at the table, Veritrans has the solution. Cookie-cutter payment processing just doesn’t meet the rigorous demands of restaurants. You need payment processing equipment that will help you improve productivity and increase profitability. Spend more time growing your restaurant business and less time in the back office. Learn more about our Restaurant POS – “Click Here”. Find the payment processing solution that’s right for your business. Call 1-866-474-4144 today to talk with a knowledgeable customer service representative.